Much like the miners during the Gold Rush, dogs are territorial animals. They “stake a claim” to a particular space, area, or object by marking it, using a variety of methods at different levels of intensity. Dogs don’t urinate or defecate out of spite or jealousy. If your dog urinates on your baby’s diaper bag, it’s not because he is jealous of, or dislikes, your baby. The unfamiliar scents and sounds of a new baby in the home are stressing him out a bit and he feels the need to reaffirm his claim on his territory. Likewise, if your dog urinates on your new boyfriend’s backpack, it doesn’t reflect his opinion of your taste in men. Instead, he has perceived the presence of an “intruder,” and is letting the intruder know this territory belongs to him. House soiling is when your dog empties his bladder or his bowels inside the house. There are a few reasons he may do this. He has a medical issue. He’s terrified and has lost control of his bladder and/or bowels. Urine-marking, on the other hand, is a territorial behavior. Your dog feels the need to assert his dominance or ease his anxiety by laying out his boundaries. He does this by depositing small amounts of urine on anything he feels belongs to him—the furniture, the walls, your socks, etc. Urine-marking is most often associated with male dogs, but females may do it, too. Leg-lifting is the primary way of marking, but even if your pet doesn’t lift his leg, he may still be marking. The amount of urine is small and is found primarily on vertical surfaces, but dogs do sometimes mark on horizontal surfaces. Your dog isn’t spayed or neutered. Unneutered dogs are much more assertive and prone to marking than neutered ones. There’s a new pet in the household. Another pet in your home is not spayed or neutered. 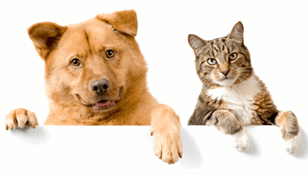 Even spayed or neutered animals may mark in response to other intact animals in the home. Your dog has conflicts with other animals in your home. When there’s instability in the pack dynamics, a dog may feel a need to establish his place by marking his territory. There’s someone new in the house (spouse, baby, roommate); your dog puts his scent on that person’s belongings as a way of proclaiming that the house is his. There are new objects in the environment (a shopping bag, a visitor’s purse) that have unfamiliar smells or another animal’s scent. Your dog has contact with other animals outside your home. If your pet sees another animal through a door or window, he may feel a need to mark his territory.